Dating has always been hard, like learning calculus in a foreign language, and each new date speaks a different dialect. Dating apps help cut to the chase: a photo, pithy profile, some basic parameters and — swipe right — you have a potential match. Then the election happened, kicking our collective asses and polarizing social structures, and dating got that much more complicated. Could online dating apps be helpful in avoiding a political mismatch? Maybe. They're ideal for culling wheat from chaff in appearance, work and education, but also potentially sticky wickets like religion and politics. 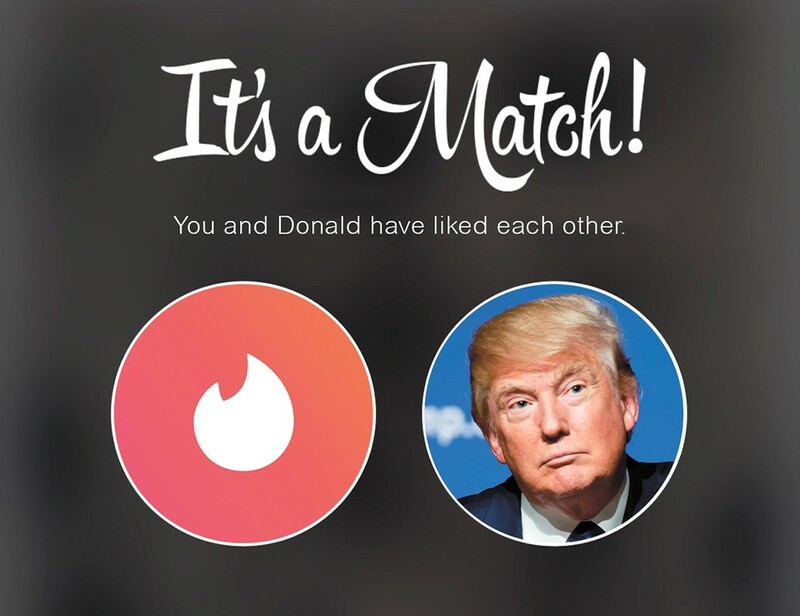 I scanned dating apps like Tinder, Bumble and Plenty of Fish, but also more in-depth sites like Match (avoiding TrumpSingles.com) and prepared myself for the inevitable: outdated photos, misrepresented weight or marital status, a general fudging of one's real interests or ideology. Sometimes it's unintentional, because we humans can't always reconcile our disparate realities. Other people, in an effort to appear open-minded, are foolishly optimistic. You're 60, your target ages are 22-52, but you're not sure if you want kids. Really? I noticed more references to politics than in years past, with some would-be daters tackling the issue head-on. "I love Biden memes and have great empathy for the Parkland students," wrote a 50-something fellow. "If you are a Trump supporter, we will not get along." Another guy, reports an under-30 colleague, used his scant profile space to write, "if you are a liberal you should swipe the same direction of your party" (left, meaning not a match). Still others expressed their views by wearing a MAGA hat or shirt. What's the best way to find someone politically compatible in online dating? Maybe the sites you use? FarmersOnly.com seems to attract more rural folks, so one could extrapolate likely political leanings from that. But it's not a slam dunk. Although Cowboy977140 closes his rambling profile by expressing that he loves "Donald J Trump Making our country great again," Bear_Remmy shares that he's patriotic, and takes "great offense to ou[sic] current president so if you are democrat and like him that is a deal breaker for me." It sounded anti-Trump yet implied that if I were Republican but liked the current president, that would be OK; it's only Trump-supporting Democrats he couldn't abide. Like I said, dating can be hard to figure out and virtual communication is no substitute for the real thing. The original print version of this article was headlined "Make America Date Again"